Length 17-22 mm. 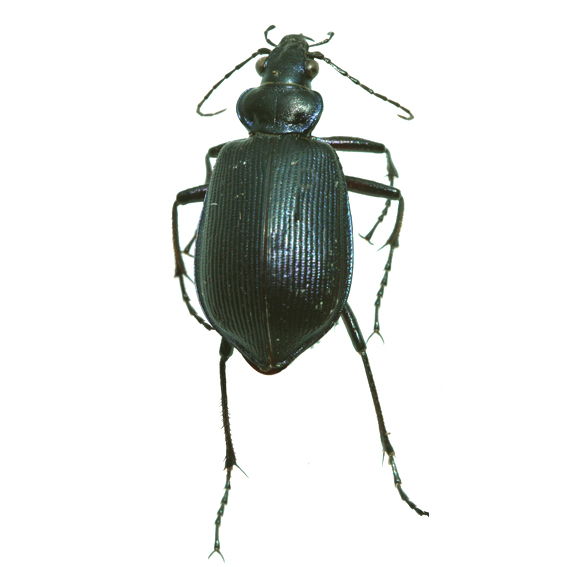 C. wilcoxi, on average, has smaller dimensions when compared to all the other species collected in Calodrepa. Superficially, because of the color and shape of the body, may seem like a small C. scrutator but is distinct because it is the only species of the group that has the metatrochanters bearing a seta and straight, or at most slightly arcuate, male mesotibiae. 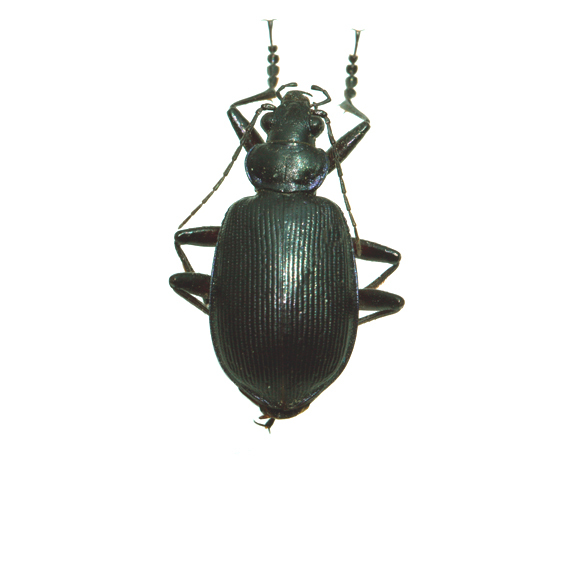 Two aberrant specimens of C. wilcoxi, having the upperbody dark blue-black instead of the typical metallic green. were collected in Texas, McLennan County, and published by Ray & al. (2016). According to Gidaspow (1959: 251) and Erwin (2007: 107), C. wilcoxi ranges across most of the United States from the Atlantic coast to California but it is more abundant in the eastern states. It is found in Ontario and Quebec (in this last case probably only it as an occasional visitor) down to Texas, but it has never been recorded from Mexico, and its presence in California is considered unlikely by Bosquet, (2012: 230). 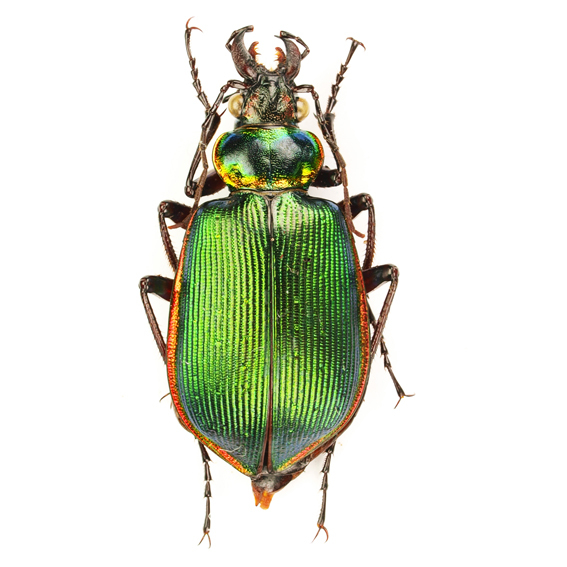 C. wilcoxi was imported into Hawaii, as a potential agents of biological control. 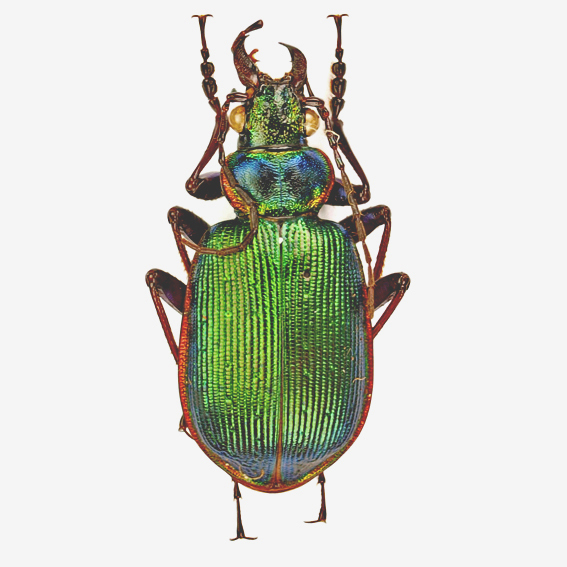 As a result, it can now be considered part of the entomological fauna of the Islands along with other imported American species: C. frigidum, C. calidum, C. semilaeve, C. simplex, C. peregrinator, C. marginale (http://www2.bishopmuseum.org /HBS/checklist). United States. Alabama: Boaz (www.gbif.org/); Arkansasa (Burgess & Collins, 1917: 38); California: Tulare co. (Burgess & Collins, 1917: 39); Connecticut, Delaware (Burgess & Collins, 1917: 38); District of Columbia: Washington (Burgess & Collins, 1917: 39); Georgia (Burgess & Collins, 1917: 38); Illinois: Peoria county, Peoria (EM, SB), McDonough county, Macomb (UASM), Jackson county, Carbondale (OSUC), Champaign County (http://bugguide.net/); Indiana, Iowa (Burgess & Collins, 1917: 38); Kansas: Crawford, 3 mi NE Pittsburg (SEMC), Johnson County (http://bugguide.net/); Kentucky: Rockcastle Co. (OSUC), Christian county (UASM); Louisiana: Saint John the Baptist Parish, Saint Tammany Parish (Bousquet, 2012: 232); Maine (Bousquet, 2012: 232); Maryland: Allegany county, 2ml W Pawlings (EM), Dorchester Co., Baltimore City (www.marylandbiodiversity.com), Cove Point (http://www.covepoint-trust.org/); Massachussets (Burgess & Collins, 1917: 38); Michigan: Washtenaw Co., Ann Arbor (OSUC); Missouri: Columbia (EM), Taney Co., Branson (OSUC); Minnesota, Mississipi (Bousquet, 2012: 232); Nebraska: Namaha county, Brownville (SB), Sarpy county, Bellevue (SB), Lincoln (EM); New Hampshire: Rockingham county (Bousquet, 2012: 232); New Jersey: Atlantic Co., Atlantic City (OSUC); New York: Suffolk county, East Hampton, Long Island (EM), Cape May Co., (OSUC), Queens County (http://bugguide.net/); New Mexico: Cibola County (http://bugguide.net/); North Carolina: Belmont, Jordan Lake (www.gbif.org/); North Dakota (Bosquet, 2012: 232); Ohio: Lake Co., Mentor (OSUC), Hamilton Co. (OSUC), Adams Co. (OSUC), Wayne Co. (OSUC), Clifton (OSUC), Columbus (OSUC), Franklin Co., Blendon Twp. (OSUC), Delaware Co. (OSUC), Ashtabula Co., Ashtabula, (OSUC); Oklahoma: Pontotoc County (http://bugguide.net/); Pennsylvania (Burgess & Collins, 1917: 38); Rhode Island, South Carolina, South Dakota (Bosquet, 2012: 232); Tennessee: Lake county, Reelfoot Lake (UASM), Chester County, (http://bugguide.net/); Texas: Brazora county (Bousquet, 2012: 232); Brazos county, College Station, (OSUC, SB), Brown County, Travis County, (http://bugguide.net/), McLennan County (Ray & al., 2016); Utah: Gunnison Butte (www.gbif.org/); Virginia: Richmond, Bryan Park (SEMC); Washington, DCA (UASM); West Virginia, Morgan County (http://bugguide.net/); Wisconsin: Lafayette County (http://bugguide.net/), La Crosse, Racine, Richland, Winnebago (Messer, 2009: 33). Notes: Winged, diurnal as well nocturnal and attracted to light at night. Adults in great number were observed while feeding upon species of Geometrid caterpillar. Active individuals were captured from April to June (on the basis of the material examined), that is also the coupling period, or all year round according to Erwin (2007: 107), but adults sometime are found overwintering in small cavities in the ground. There is no explicit dedication of this species and it is difficult to identify the person which the name “Wilcoxi” refers to. However, in other publications of the author, there are some references to a “Mr. Wilcox” who gave him various beetles of Illinois. A brief description of larval stages can be found in Burgess & Collins (1917: 41).